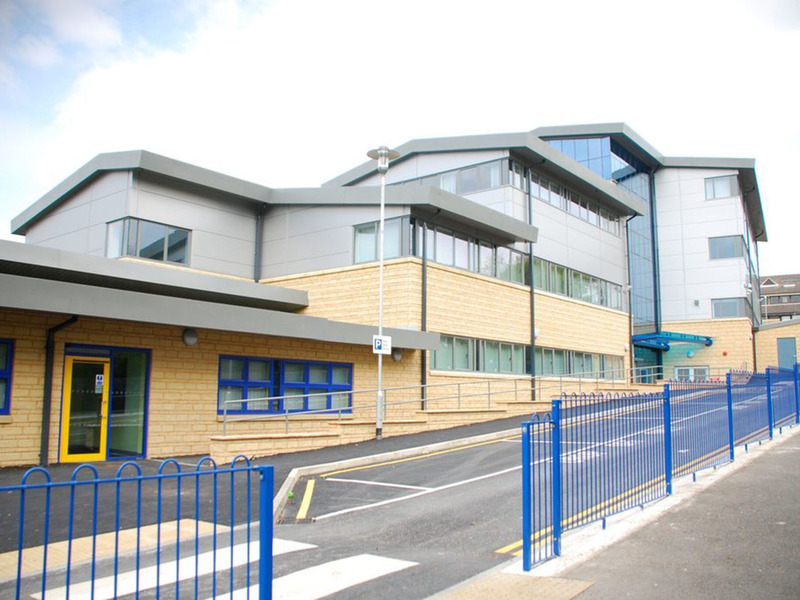 The project for Alder Grange Community and Technology School provides a 300 place Sixth Form College and community facilities for the Rossendale Valley. Funded by the LSC, the College provides 3,300m² floor area with a range of facilities allowing the college to offer a broad curriculum of academic and vocational courses to suit the 14-19 age group. 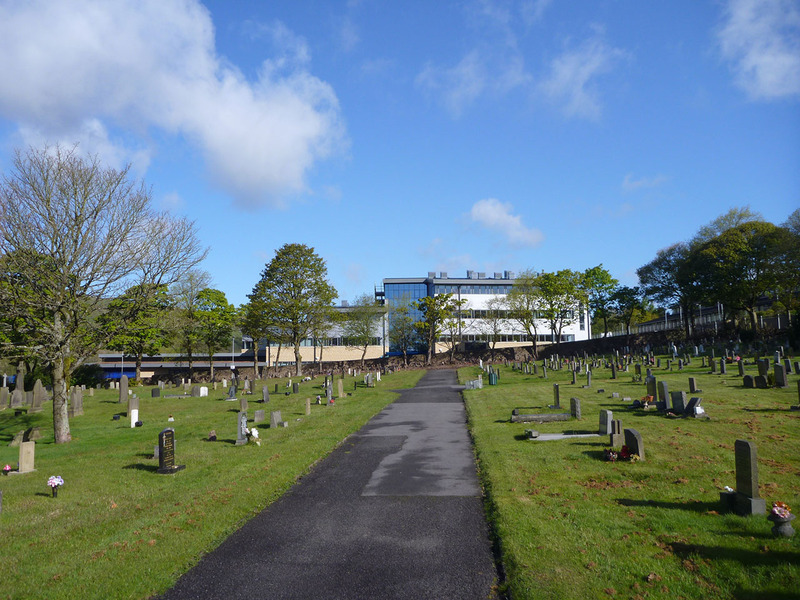 Located on a former car park between the two schools, the building is steel framed with concrete floor slabs on steel decking with masonry cladding of reconstituted stone up to ground floor cill level with proprietary prefinished cladding above. 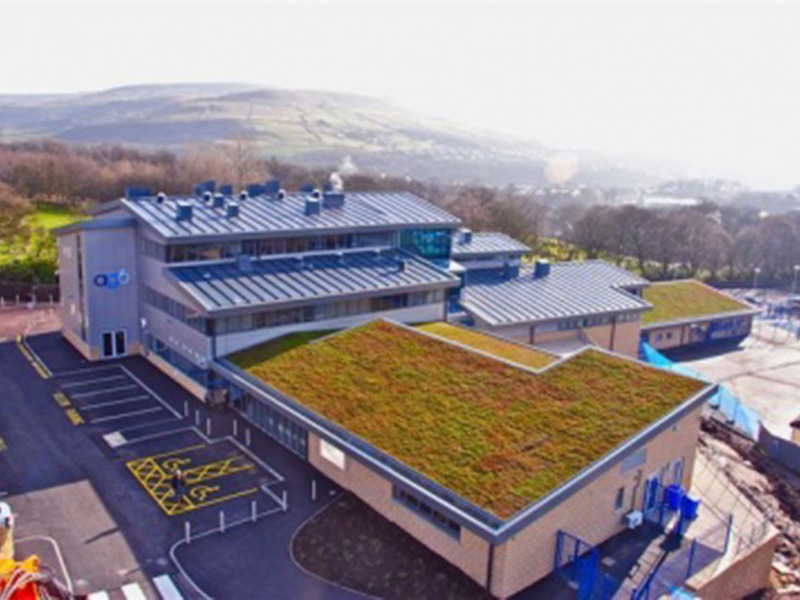 Roofs are a series of mono and dual pitches covered with a standing seam material except the single storey roofs which are covered with a sedum green roof build up. The scheme achieved a BREEAM ‘Very Good’ rating.